“The temple is secluded; the water became cold from its source. 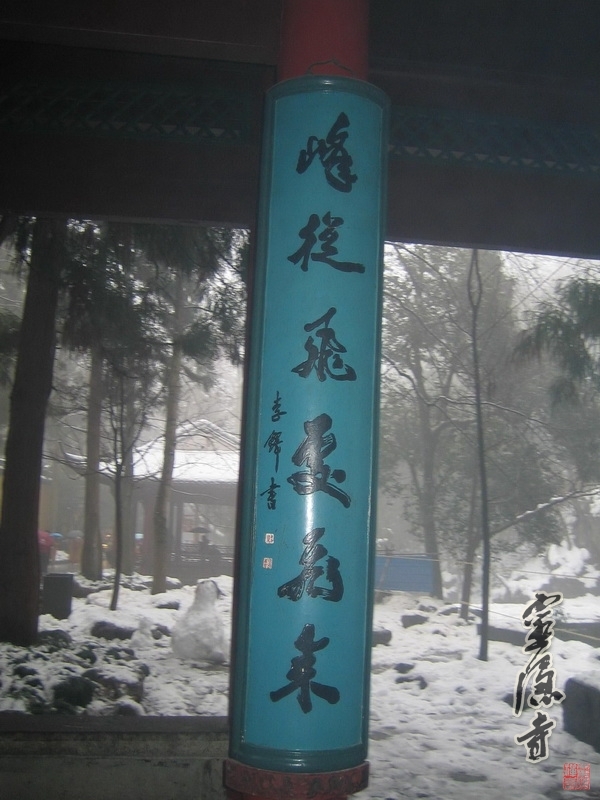 “The spring water is faint and has no heart; only its owner knows whether it’s cold or warm. 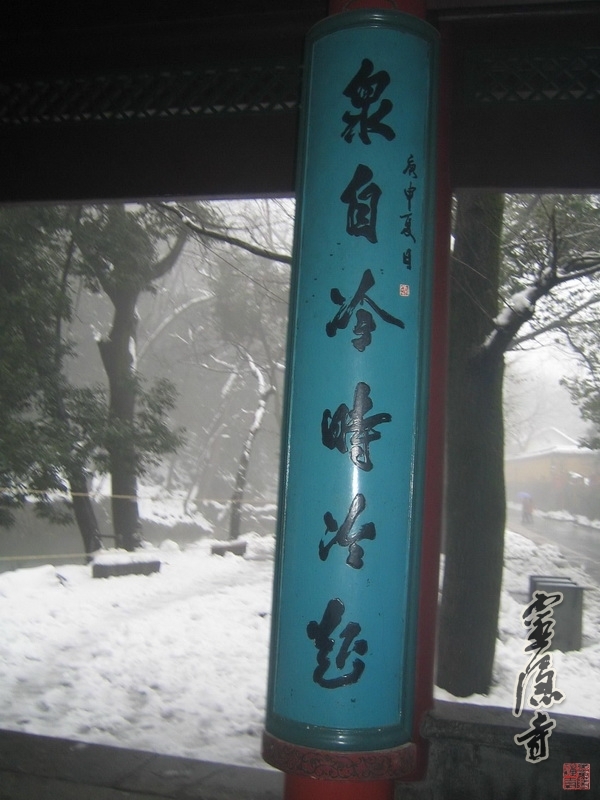 Later, when the daughter of Yu heard about their story, she also designed a couplet as a repartee. Yu was surprised by her couplet. He asked, “It is reasonable to say that after Yu the Great had controlled the flood the spring water started getting cold since then. But how do you explain the “Xiang Yu” in the second line?” The daughter replied, “How could the hills fly if Xiang Yu had not plucked them up?” By quoting the verse “My strength plucked up the hills” by Xiang Yu, she replied to the questions wittedly.